True Flashlight is Free, intuitive and easy to use flashlight, as you can light up flash light with physical Power button and Volume keys. This is the fastest way to start flashlight since you just need a sequence of Volume button presses and LED light will be emitted from the device's flash even when its screen is Off - no need to use the touchscreen or even look at the phone. ★ Toggle flash light with sequence of Volume keys clicks. 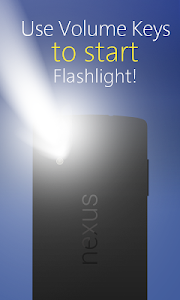 ★ Start flashlight for free by pressing device's Power button 3 times. ★ Light up LED light even with Screen Off. 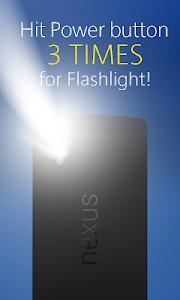 ★ Fastest flashlight - turns On instantly and has the easiest access - with phone's hardware buttons. - Key sequence is Volume "Up - Down - Up - Down" by default. 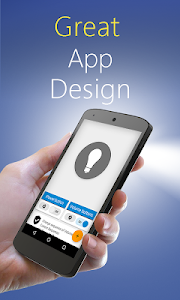 - Phone Volume levels are restored to the original values after LED light is triggered. - You can choose to start Volume flashlight only on phone LockScreen. 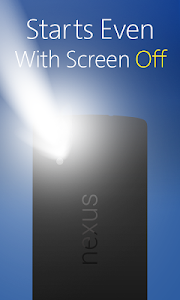 - Volume flashlight on Screen Off is limited to "out of pocket" function (read below). so to limit the battery usage, we have limited screen off mode to only when you pull phone out of pocket. - Keep phone for at least 15 seconds in your pocket or bag before you pull it out. - After you pull it out of pocket, you have 5 seconds to start the Volume button sequence. - Flashlight will only be triggered if the phone screen is not near another object - that is to avoid accidental flash start when in pocket or bag. In particular, the default software keyboard will never send any key event to any application targetting Jelly Bean or later, and will only send events for some presses of the delete and return keys to applications targetting Ice Cream Sandwich or earlier. Toggle Flashlight with phone's Volume keys or Power button. 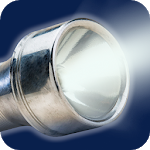 Fastest flashlight on Google Play store! Similar to "True Flashlight + LED Flash"